Super Eagles forward Ahmed Musa was the star man tonight in CSKA Moscow 3-1 win over Sporting CP of Portugal. 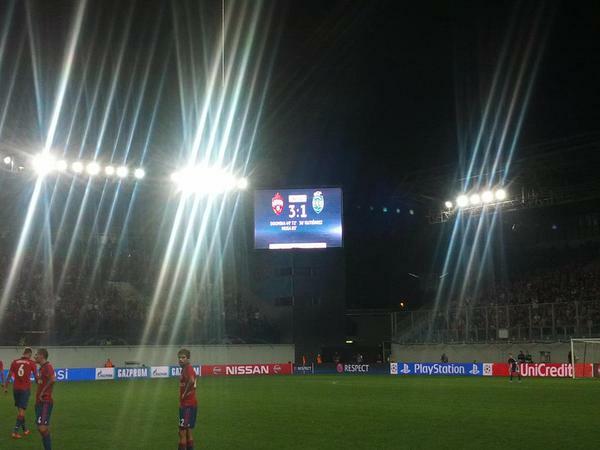 CSKA Moscow qualify for the group stages of the UEFA Champions league after winning 4-3 on aggregate. The Russian side needed to win by 2 goals after losing the first leg 2-1 in Portugal, Teofilo Gutierrez put Sporting in the lead in the 36th minute before Seydou Doumbia scored twice in the 49th and 72nd minute with Ahmed Musa creating the second. The match was poised for Penalties but the Super Eagles forward had other plans, in the 85th minute he made a good run to meet a through ball and slotted the ball beyond the Sporting goal keeper and sends the Russian side to the UEFA Champions league group stage.